The California Maternal Quality Care Collaborative (CMQCC) came to us with an ambitious goal: create a blended classroom for the busy audience of healthcare workers, with a focus on engaging millennial learners. 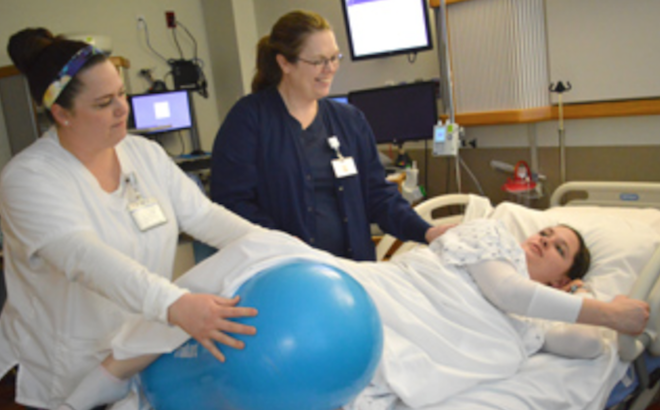 They wanted to teach the critical clinical and professional communication skills required for bedside nurses, and other healthcare professionals, to appropriately, compassionately, and expertly care for women in labor at their hospitals. They had recently successfully completed an in-person class for a small group of students, and the curriculum was so popular they knew they needed to expand it! (Not a bad problem to have...) Recognizing that their current approach wasn't scalable enough to meet demand, they turned to the goal of creating an online course to supplement in-person trainings from instructors within the hospital, who themselves would be trained through online course materials. This project was a story of bringing things together. We started with a lot of pieces that all accomplished different functions: our job was to bring them together and create a customized and user-friendly course to teach busy nurses on the floor. 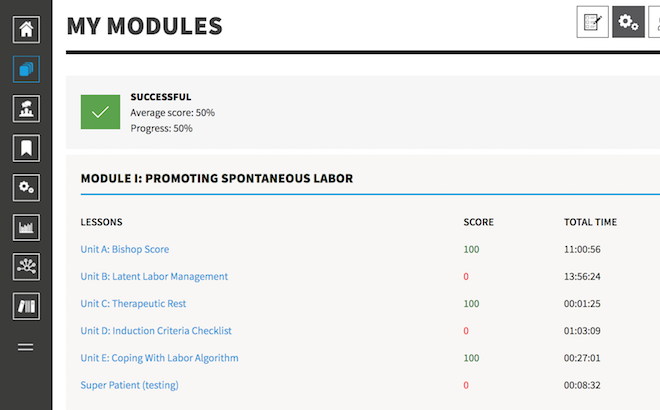 CMQCC had taught a widely successful in-person class on Labor Support, and experience creating online course materials utilizing SCORM packages. We had already built successful online courses as well as workflow apps that helped us understand how student management might work. A big breakthrough in figuring out how to fit all these puzzle pieces together came on the day that we discovered Opigno, a Drupal distribution designed to create Learning Management Systems (LMS). This distribution allowed us to start with the structure of an LMS already in place: they had content types already configured for classes, courses, and lessons, as well as basic integration with SCORM packages. From there, we began the painstaking process of creating this specific class. After all, no two classes or organizations are exactly alike :) CMQCC has a wide network of member hospitals, as well as very specific content needs. Everything from the registration process to the gradebook had to be rebuilt to suit the students and instructors who would be using the site. Open source software gave us a starting point to create the kind of class that combined all the strengths of the content team with the power of new technology for e-learning. Improving labor and delivery for women in California gave us all a shared mission, and empowering nurses to provide quality care is a winning strategy to reach that goal. You know what they say, give a man a fish, he eats for a day, but teach a nurse Labor Support, and patients and professionals everywhere rejoice!